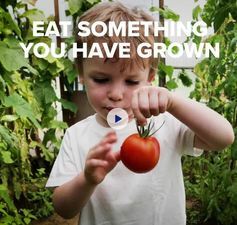 We know it’s important that children have the chance to try things out, to get a taste of the world around them, to see and do things that they wouldn’t normally do, or go to places they wouldn’t normally go. That’s why we’ve launched the ‘Activity Passport’ – working with the National Trust, Girlguiding and Action for Children. It’s a free checklist to help schools introduce pupils to a wide variety of new experiences to complement their day to day learning. This resource, which we have made available in an editable format so schools can use it however they wish, aims to help boost pupils’ confidence and curiosity, and develop skills for life too. The resource features activities that students can tick off at home or in school and have been tailored to suit different age groups. Nearly all of the recommended activities will be available locally. Why not start the school term pursuing new interests as a class together; visit a local landmark, create a class collage, or make a treasure map? Every child should have the chance to learn life-saving skills such as CPR and know how to get help in a medical emergency, which is why we’re proposing plans for all children to be taught basic first aid in schools from 2020. Learning basic first aid skills and techniques like CPR will give young people the confidence they need to be able to step in to help someone. 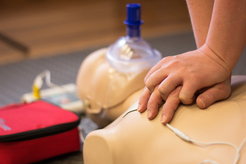 This new proposal means that by the end of secondary school pupils will know how to do CPR, what defibrillators are used for, and basic treatments for common injuries. You may have heard in the news that Georgeham Primary School in Devon has become the first school in the UK to achieve single-use plastic free status. By making small changes, such as replacing cling film for foil and using washable beakers rather than cartons with straws for milk, Georgeham has been able to significantly reduce their plastic use. We're keen to help more schools follow their lead, and reduce the number of plastic items used, such as plastic bags, straws, bottles and food packaging, in favour of sustainable alternatives. It’s also a good opportunity to have a conversation with pupils about the effects that discarded plastics have on the environment and wildlife. We know it’s not easy and as a department we are also on a journey to reduce our plastic waste and we’re working with suppliers to make this transition easier for schools. Additional help to support children’s mental health is being provided to schools by the NHS. Initially, it’s being offered in 25 areas across the country to build on support already in place from school counsellors, nurses, educational psychologists and the voluntary sector. It will support children and young people with mild to moderate mental health issues, and help those with more severe needs to access the right support. We’ll also be funding training for senior mental health leads in schools to ensure a ‘whole school’ approach to mental health and wellbeing. As we all know, education is not just about taking and passing exams. We want all young people to leave school as happy, confident and well-rounded individuals. Exercise and organised sport in particular can play a huge part in children’s personal resilience and emotional wellbeing, which is why the Education Secretary has called on the country’s leading sporting organisations to work with the government to improve school sport. This includes making sure all pupils receive quality PE and sport sessions during the week and opportunities to be physically active every school day. Engage pupils with their own democratic future through historical case studies of suffragist and contemporary campaigners for gender equality using the Historical Association’s new school resources. Based around a database of 3,000 women and men from across the UK who fought to get women the vote, the resource contains lesson materials to help students to explore the lives and contributions of those who took part in the women's suffrage campaign. Find out more about the resources on the Women's Suffrage website.